It's not everyday you meet someone like Tara Mackey. After months of waiting to finally have a heart to heart conversation with Tara, sitting with her in her San Diego home was truly an honor. A multifaceted goddesspreneur, Tara has defeated the odds, showing the world that you are so much more than a label and diagnosis. 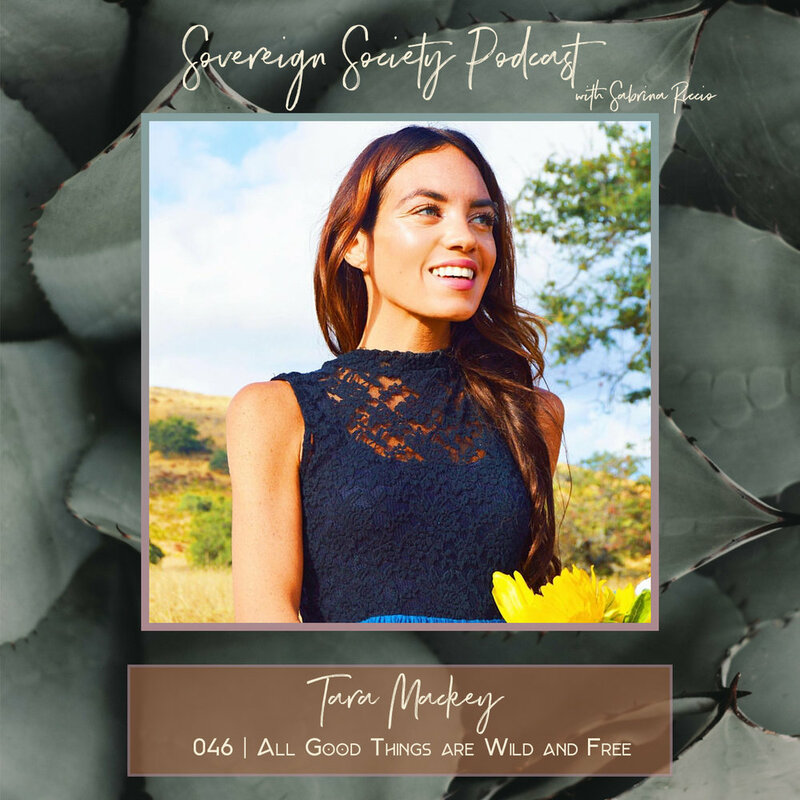 Tara was on a mission to reclaim her sovereignty by taking action and living life on her terms by transmuting the limits and exceeding expectations. Tara is the definition of a boss babe. An activist at heart, she's built an organic skincare line, written two best sellers, she's a powerful motivational speaker + activist, and an overall badass who's doing what she can to save the world. After coming off 14 medications, Tara cured herself with Nature and it's medicine. Offering transformational healing techniques with her latest book WILD Habit, Tara is here to show us how to achieve complete body and mind restoration, by using her highly developed four-step WILD Method. ☾ #RealTalk Cannabis + Psychedelics are Medicine. Tara Mackey is the best-selling author of Cured by Nature, a soul singer, and a global motivational speaker. She is the Founder and CEO of sustainable companies Genetix and The Organic Life, recognized as one of the Healthiest Companies of the Year. Tara has been honored as Woman of the Year and named one of San Diego’s Most Admired CEOs. Mackey travels the world as an activist, inspiring people to make bold and brave moves, take actions to live their dreams, and create a more sustainable and empowered world. Tara studied biology and worked as an MLT at Cornell Medical Hospital in NYC before moving to California in 2011 to pursue her passions in the fields of health care, acting, and music. Tara began her blog and company, The Organic Life, in 2012 to share her wellness journey. Mackey’s bohemian spirit, talent, and drive has generated a booming, engaged, and inspired following. Tara’s work, journey, and life has been featured in Forbes, Teen Vogue, Glamour Magazine, Yahoo, Yoga Digest, Byrdie, Reader’s Digest, Woman’s Day, The CW, PIX, MSN, San Diego Business Journal, Essence Magazine, Livestrong, Brides Magazine, and many more. Tara lives in San Diego, California. You can find her on the beach with her two rescue dogs, Raelie and Ruca, musing about organic pizza. Follow along with Tara at @taraamackey on social media and at www.TheOrganicLifeBlog.com.